An embolism occurs when a vein or artery is blocked by an embolus. Not to be confused with a thrombus (stationary blood clot), an embolus is a mobile substance confined to the blood vessels. There are several types of embolisms, depending upon the affected part of the body. The embolus moves through the circulatory system until it eventually becomes lodged somewhere smaller than itself. Blood flow is disrupted, and the cells beyond it are deprived of their normal blood supply, and thus oxygen, damaging those cells. At this point, it becomes an embolism. Here is a look at what you should know about these potentially fatal blockages. An embolism can occur in different parts of the body, have a unique originating cause, and result in different symptoms. Additionally, whatever is stuck in the blood vessel causing the embolism can affect the type. Those resulting from a thrombus are more common than others, though. A “thromboembolism” is more of a blanket term for an embolism caused by a blood clot that comes loose, shoots around the circulatory system, and eventually blocks up another vein or artery. The cause of an embolism varies depending on the type. Deep vein thrombosis (DVT) is one of the most common causes of embolisms, resulting from a thrombus. These are especially dangerous because they can occur with no symptoms—although there may be some swelling or pain. The blood clot comes loose, and like most embolisms, eventually lodges in a passage smaller than it can pass through. 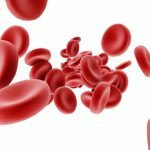 Blood clots, which may form for a variety of reasons, are also generally the cause of arterial, brain, and retinal embolisms. Air embolisms are common in scuba divers who rise to the surface too quickly. Septic embolisms are caused by infectious bacteria entering the bloodstream. The cause of amniotic embolisms still merits research, but according to the Mayo Clinic, experts suspect “a breakdown in the placental barrier, such as from trauma” resulting in an immune system response that causes “abnormal clotting”. Things like surgery or breaking a bone may allow fat into the bloodstream, causing fat embolisms. 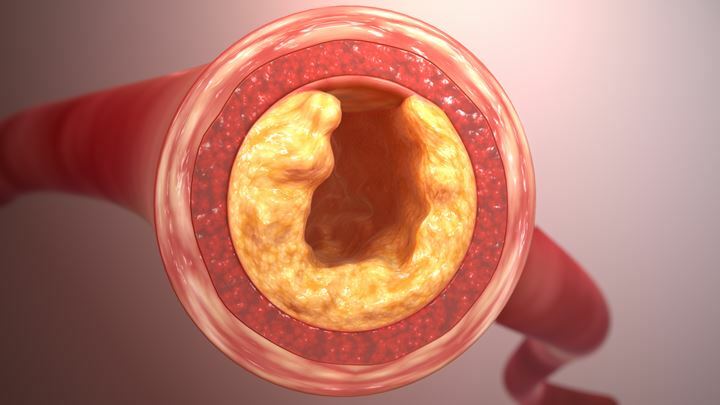 Plaque that forms in a condition known as atherosclerosis contains the cholesterol that can break off and cause cholesterol embolisms. Symptoms also vary widely depending on the type of embolism. Difficulty breathing, a cough, or chest pain may be indicative of a pulmonary embolism. 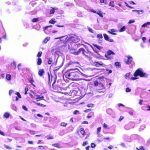 Embolisms that form in the extremities or organs, like an arterial embolism, often result in pallor, a lack of pulse, weakness, tingling, muscle spasms, or coolness over the affected area or in the extremity. Dizziness, pain, and sensitivity may indicate certain embolisms. More serious symptoms may include a stroke, heart attack, or vision problems. Some embolisms may be extremely difficult to diagnose and mimic other conditions. Quick and appropriate treatment are essential when an embolism occurs. Thrombolytics break up the embolus, while medications like blood thinners, or anticoagulants, may be used to prevent further clotting. Oxygen therapy may be used to provide oxygen to areas of the body suffering ischemia (oxygen loss) due to an embolism. When more serious clots are present, surgical procedures may be necessary. An embolectomy involves the sedation of the patient to remove the blood clot by catheter or even surgically. Arterial bypasses use other arteries to “bypass” the artery that is blocked. Vessels can also be made wider by angioplasty, which involves inserting a tiny balloon into the vessel and inflating it. Embolisms should be considered an emergency. Seeking help immediately can lower the risk of complications and mortality.